Hidden Messages in the Packaging? Green Coffee Loading Pit? Things you might’ve missed. Why Would I Ever Read a Customer Website about Starbucks? We have no clue where our signage is for it, but I plan to chalk ink about it on the daily offerings board and make a a frame sign by the drive thru order box. I still think it was an incredible 5 minutes. You have to staff to do this, but it can be done, and it really sharpens the whole team, because everyone is on the same page. 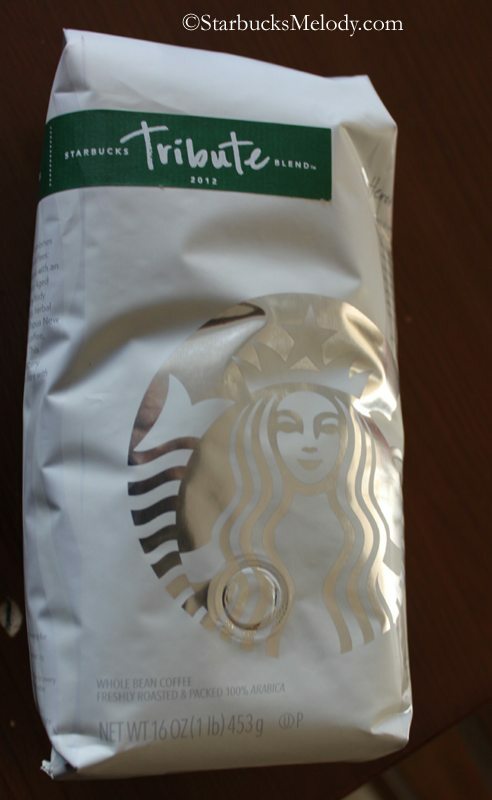 We didn’t get any signage about the free drink with the purchase of a bag of blonde beans. However, we’ve had it on our daily offerings board since Thursday. I personally really like the fact that it’s a free beverage and not a free TALL beverage. The customer will be able to get at least a little bit of bang for their buck this way. We have our Roast You Love the Most tastings this weekend too. I’m looking forward to that. I need to come up with sales goals for that on Monday. I can’t wait for more Tribute! But I’m still holding out for some development of the Vivanno line. Hoping that Evolution can really juice it up. Pun. Melody I so totally agree with Alexander that the Eddie Bauer strategy should be used at SB with the partners. It just seems that even in the same store the partners are not on the same page and forget from store to store. @Melody It is sooooo weird that you mentioned the “Take 5”. I just talked to my DM, Diane, who you know, about that! She used to work for Eddie Bauer, too, I think. I love that idea. A lot of info is missed from SM to Shift Supervisor to Barista, and a ‘Take Five’ would be an awesome way to fix that! Someone else mentioned that there should be updates on social media promotions. And I would like to see that happen. I haven’t seen any official communication to stores about the 29 Star Dash, but I think its nice for our partners to be knowledgeable about those kinds of things. I’m in favor of more info about stuff like that! I think on the portal we should receive a weekly action item for promos/offers with registered cards, so we can order accordingly or be knowledgeable to aide questions. Does anyone know if you load $25 on a card, you get $5?? A customer asked and I told her I wasn’t sure and it was a offer that we didn’t know in store. I think I received a email but can’t find it. In other news… Go Giants! So nothing we can do at a store level, but still good to know it was out there for people asking questions. I didn’t even know that Portal existed till reading other partner’s comments on sites like this. I still don’t know how to access it. As with the 29 star dash promotion, I do not remember getting an email re getting $5 on your card if you add $25 online. I really would love to know how they decide what customer gets what email. I guess the partners this morning were tired from the super bowl because they sure looked like they wanted to be somewhere else! That Eddie Bauer talk would spark up their passion for sure. @MagicKat (and all) – This is the first I’ve heard of the reload promo. I am sorry I missed that. I wonder where there was customer-facing info on it from Starbucks? I would have taken advantage of that. I do almost every single reload in the store, so perhaps that’s why I didn’t see it. @CardiffBarista – I hope you get connected to the portal soon! I have to say, this has been incredible conversation in this thread. Melody I too do the majority of reloading in the store, but it is sort of interesting they did not send out an email to those people that do reloading in the store and say something like why not make it easier for yourself and reload online and if you do that we will sweeten the deal by putting $5 on your card as a gift from us. I certainly would consider doing that for sure. Re the conversation in this thread. I think it is so great because of you and because of the wonderful and involved people that read your blog. I never reload online so I was shocked to get the email, but I order online quite a bit. Strange how they single customers out and isolate others. @Melody — I just looked and I had archived the email with the $5 promo, I have forwarded it to you. Something significant in the offer is that you had to setup an “auto-reload” by 1/31/12 in order to get the offer. I bet many people missed that and may be surprised when they do not get a $5 bonus or they missed that they were signing up for auto-reload and will now get another surprise. The reload promo here is a VISA promotion. It sounds like there’s a different promo in the US? From my understanding if you load $25 on your card online VISA will kick in an extra $5. But, as I say, maybe this is different than the promotion you guys have? I have a customer who tried it out and is watching for the extra $5. For some reason she doesn’t seem to think it’s going to show up. I did see an email about it from MSI, but it was tucked in a corner and not very noticeable. The message didn’t look like it was customized as it didn’t have any special offers attached to it, so I assumed all MSI members got it. This morning I didn’t feel well so I missed my Monday Morning Starbucks with my buddies. And now that I need to know if my local Starbucks has cherry pie, I may have to run down there tomorrow morning. I’ll let you know if my Norcal SB has it. 32nd and Lincoln will be the first Clover store in Arizona. I can not wait! It will be over an hour drive just to try. 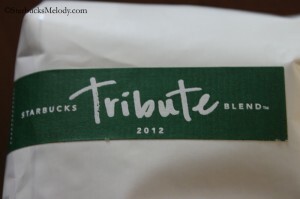 Saw Tribute Blend on shelf today. One of the partners came over this morning and gave my husband and I a valentines card for a buy one get one free hot chocolate or caffe mocha by Feb 14. Has anyone else received one? It is a thank you valentines for being a loyal customer. I did not see her giving it to every customer that walked in. @purple1 — at my regular Starbucks one of the Baristas came over to my table and gave me the Valentine card. What was really nice was the sincere way she said that she and the others really appreciated not just my business but how nice I was to them. Cecile of MSI also sent me one with a simple note. Here Tribute is in the backroom, not to be seen until March. They have been brewing Casi Cielo instead of Pike. It is interesting that the Pike drinkers are really liking the Casi. I was given one of the valentines yesterday. Dad Cooks that was very nice that the partners told you how much they appreciated you as a customer. The partner at my local SB was nice for sure to give it to us but she handed to us very quickly and ran off. purple, i am on my kindle sorry sloppy.I am surprised that your Starbucks has Tribute Blend on the shelf. I really don’t think stores are supposed to put it out, and I thought this store in Wisconsin (where the pics. here are from) is a fluke. My God I HATE auto correct. 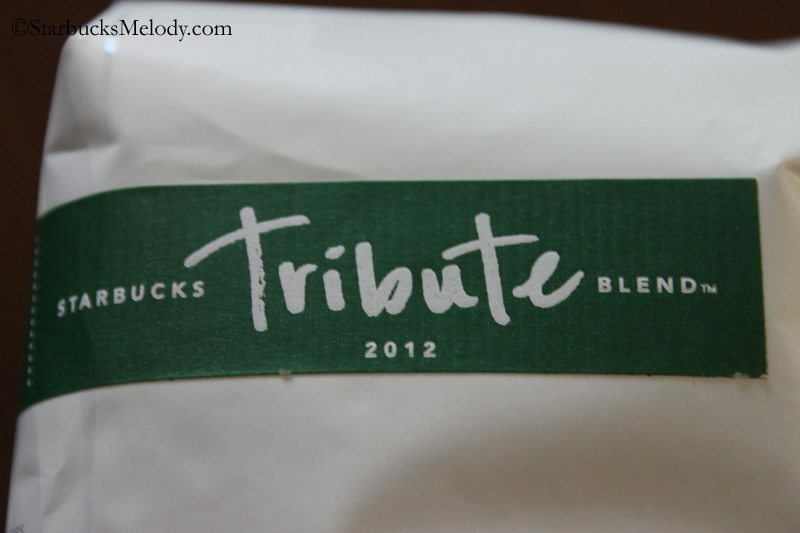 I find it strange as we haven’t received any Tribute blend or a mail pack with the barista needs to know or signage to display it for purchase. Once again, in some cases, not so much comunication to the partners, obviously. I’ve had the Casi C. for a couple days now (Monday) and I actually am finding it less bold than I remember it from last yr. am needing to use more of it in the mornings to get the flavor…..
ps: also a coupon via email today for a $1.00 petite w/ any handcrafred beverage….goes thru March sometime….did not notice a start date. Two different comments since this is an open thread.- Said to the SM today saw that Tribute Blend was on the shelf and he said yes they sent it to us early but we are not brewing it until March. Two- I wish there were a way to get some partners to be more friendly and not seem like such robots in their interactions!